Prejudice, Racism, Intolerance. We often discuss how Iranians are victims of these, but a movement against Iranophobia cannot enable other types of discrimination. Therefore, #SeeYouinIran is challenging both biases against Iranians and by Iranians. 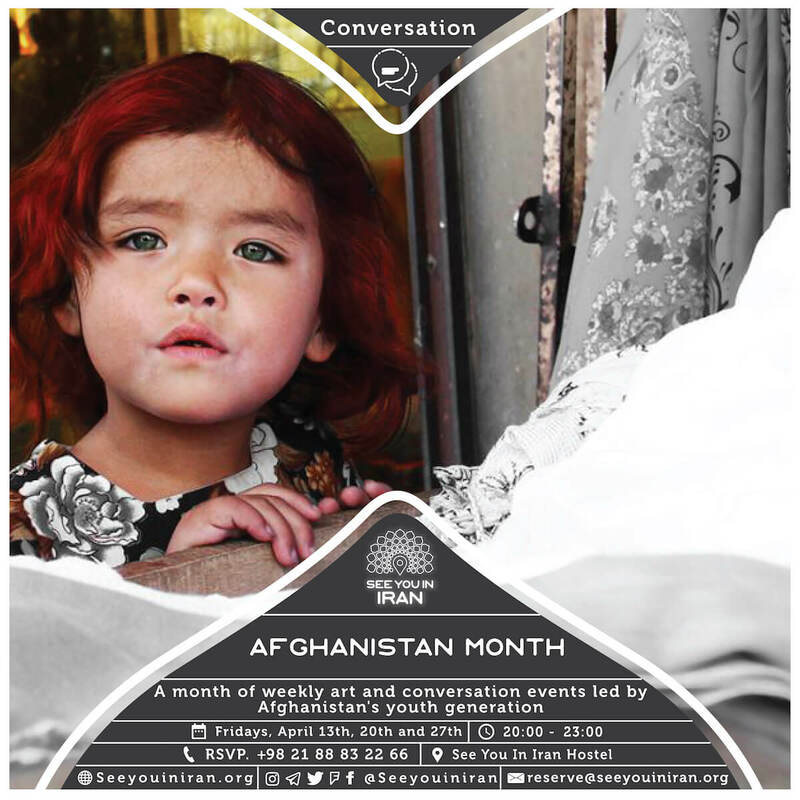 We are doing this, in part, through the developing of inclusive and critical cultural programming like our upcoming “Afghanistan Month,” which will consist of weekly art and conversation events led by Afghanistan’s youth generation every Friday in April. “In the face of the increasing violence, a lack of unemployment, reduced international aid, and a Government stretched beyond its means, the responsibilities placed on Afghanistan’s youth are only going to get bigger and bigger.